Their goal is to implement a way to make mobility on campus more accessible and effective. Their idea revolves around setting up a system that benefits students who are in need of assistance getting around campus. They hope to either create a new innovative method to improve mobility on campus or improve a system that is already in progress. 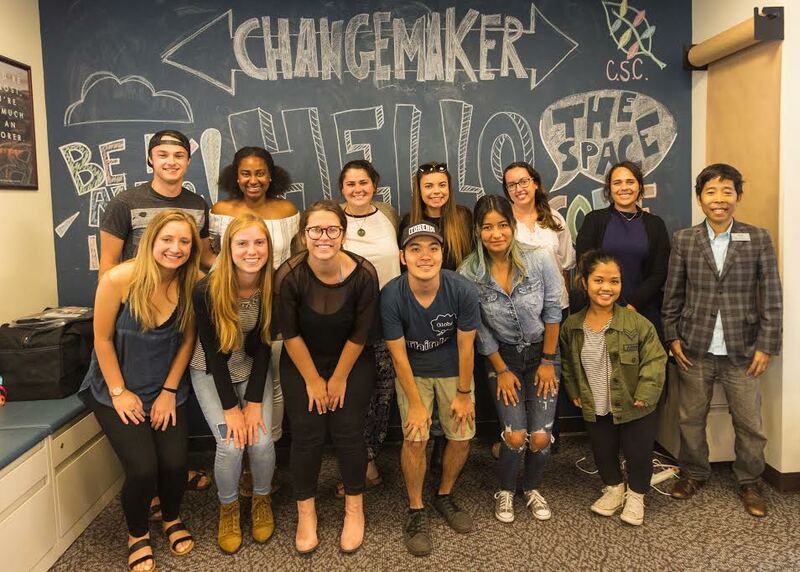 Their goal is to increase awareness about sustainability on-campus. Their idea is to create a competition between the vista resident halls to see who is the most sustainable. They are also exploring other ways to promote sustainability with alternative energy sources on-campus such as solar power generating umbrellas in the plaza to charge phones. They hope to spark the conversation about how USD students can be more environmentally aware. Their goal is to facilitate voter registration for homeless populations and families living below the poverty line. Their idea is to work with homeless shelters and other community services for the homeless in providing voter registration and other information about voting. Their goal is to aid high school students in the Linda Vista with applying to college. Their idea is to create a mentor program with other community partners like Upward Bound. After learning about the needs of the students, the team will create a program to help with applications and scholarships. They hope that the mentor program will continue for past mentees to serve as future mentors. Their goal is to create an advocacy program for USD students who have a disability. Their idea is to create a space for students to share the challenges they face in mobility around campus; then their team will present these concerns to university administration. They hope to make the campus for accessible for people with disabilities. Their goal is to encourage inclusive language at USD. Their idea is to create a campaign for students to take a few seconds to think about their words before speaking. You might not always know what is offensive to someone else. Often times, Greek Life is stigmatized as having a lack of diversity and inclusion. By forming a coalition of members from various sororities, this SCC team has focused their efforts on understanding this issue as it relates to USD’s campus. Their goal is to foster connections with students and promote awareness of the steps currently being made to address diversity and inclusion within Greek Life. Pee in Peace, a continuing Social Change Corps team, is concerned with the forward propagation of inclusive social standards encompassing the value and right of each individual to feel safe while doing something that connects us all: using the restroom. Concerned primarily with the construction and promotion of gender inclusive restrooms on the USD campus, Pee in Peace aims to provide not only a Safe Space for gender diverse individuals, but also families, disabled persons and any other person who desires/requires a single-occupancy style restroom. So far there are seven inclusive bathrooms in various locations throughout campus. Pee in Peace recognizes USD as a contemporary Catholic institution and is committed to holding the university up to this standard.